The all-powerful Indian monsoon is the defining feature of life and tourism in Nepal. October to April is the dry season and, overall, this is the best time to trek most of Nepal. But within that, the ideal trekking time is really from October to early November when the skies are crystal clear, and the visibility is excellent. It’s warm in the valleys and cool to cold up high. However, this is also the busiest time on the main trails, and villages can be overwhelmed with trekkers. December to February is also an excellent time to trek, when trails are much quieter and visibility is still excellent. However, it can be bitterly cold up high, and some passes can be snowed in. March to early May can be another good time to trek. It’s much warmer up high, but uncomfortably hot lower down. Rhododendrons turn the slopes aflame with purples and reds. On the negative side, heat haze builds up and the air is less clear. The first pre-monsoon storm clouds build up and you’ll probably get soaked by intense thunderstorms. May is however a superb time to trek areas which lie in the Himalayan rain shadow. Trails in these areas are quieter than in June to September, and the mountain views are better. By late May the thunderstorms become more frequent and it remains dangerously hot at lower levels. And by June the monsoon really starts to make its presence felt. In Nepal the torrential rain and massive thunderstorms last roughly from late-June to mid-September. For much of the country this is a very bad time to trek. Many trekking lodges will be closed, mountain views obscured, and trails become a quagmire of mud and leeches. However there are exceptions and places such as Upper Mustang which lie in the Himalayan rain shadow can still be trekked. There are two types of trekker on the more popular routes: Those walking independently and those on an organised trek, and there are pros and cons to both. If the idea of an organised trek makes you shudder with thoughts of package tour-style walking, fear not. An organised trek can mean a party of just you, a guide and a porter, or even just a porter-guide. Mostly though, an organised trekking team will be made up of you and your trekking partners (the group could be assembled by you or by the trekking company), a guide and sometimes a western trek leader as well, a cook, kitchen assistants and any number of porters. A fully organised trek is often a camping trek (as opposed to staying in teahouses / homestays), which allows freedom in deciding where to stop for the night and allowing you to avoid the busy overnight halts used by most independent trekkers. An organised trek also means security. Your guide and porters should know the route and they will know about problems up ahead that an independent trekker might be oblivious to. And having porters means you only need walk with a light day bag. Other advantages are an often more diverse range of food and having a cultural and language translator at hand. Organised treks don’t have to be camping only. Even on the remoter routes there is a growing number of wonderfully atmospheric homestays – Upper Mustang is especially good for this – and very basic trekking lodges aimed more at local herders. The Kanchenjunga trails are well endowed with these. It’s possible to tell your trekking company that you want to mix it up a bit with a combination of homestays, camping and basic trekking lodges. This gives you the best of all worlds. The biggest advantage of an organised trek is that it allows you to explore huge swathes of upland Nepal that independent trekkers relying on lodges simply cannot reach. You can explore for longer in remoter, higher and, dare we say it, more exciting areas of Nepal. The disadvantages of an organised trek are that your schedule can be tightly controlled, especially if you’ve joined a group put together by the trekking company, and there can be fewer opportunities to meet villagers. Life on an organised trek starts at first light with a reviving cup of tea brought to you in bed. Often you’ll also be brought a bowl of hot water and a flannel to wash. Breakfast will be served half an hour or so later and while you tuck into steaming bowls of tsampa (delicious Tibetan porridge) the camp staff will pack away the tents and gear. You’ll then walk until lunchtime. The kitchen staff and porters will normally have reached the lunch halt long before you. A hot drink will be waiting followed by a big lunch. After walking for another couple of hours you’ll normally arrive at the night stop by mid to late afternoon. Tents will have been erected and a cup of tea and biscuits or other snacks will be ready for your arrival. A big dinner will be served shortly after nightfall and then it’s an early night. Depending on the size of your group and the level of luxury you opted for, it’s common to sleep in small two-man tents and to eat in a larger, communal dining tent. Normally there will be tables and chairs and sometimes a toilet tent as well. If you’ve tried to keep costs down you might not have these luxuries. For all but the most wildly ambitious and adventurous treks, arranging an organised trek is easy. There are numerous western-based agencies and, perhaps even more Nepal-based ones. Many of the former will use a trusted local operator to arrange the trek and so in most cases it’s cheaper and just as easy to go directly through a Nepalese agent. Many trekking companies will have a number of set departure treks which cover the most popular routes and all you need to do is sign up to one that appeals. If you want to get a bit more off the beaten path you might need to ask for a custom-designed itinerary and find your own trekking partners. In most cases though, all you need do is contact your chosen agency, tell them roughly what you want to do and leave the rest to them. Although there are undoubtedly some fly-by-night operators out there, most Nepalese-based agencies pride themselves on the attention they give their clients. Naturally, though, the more you pay the better the service you’ll get. In the three most popular trekking areas of Everest, Annapurna and Langtang, where trekking lodges/teahouses are found all along the trails and the routes are clear and easy to follow, many people trek independently. Independent trekking has a lot going for it – but it also has some very large negatives. It’s cheap, easy and a lot of fun. Trekking lodges – though normally far from luxurious – are often warmer and more comfortable than tents, and an increasing number now boast hot showers, varied menus and even wi-fi. With trekkers from across the globe congregating round the heater in the dining room at night, they are also social places. Costs, even at the busiest times of year, are very low. Most lodges charge only a couple of hundred rupees (US $2-4) per person for a bed in a basic twin room, and you are expected to eat in the lodge. If you were to stay in one lodge but eat in another, expect to answer to an annoyed lodge owner. Because most food has to be carried in by porters, food costs more the further you walk from the trailheads. Even so, it’s still cheap on an international scale with dhal bhat (lentil curry and rice, Nepal’s national dish) costing around Rs 200-300 (US $2-3). Items such as steaks and beers (when available) cost much more. Staying in trekking lodges means you don’t have to carry tents and cooking equipment. Many independent trekkers don’t bother to hire porters or guides and this also helps to reduce costs. A final, huge advantage of independent trekking is that you can change your schedule as you see fit – brilliant when someone you meet on the trail tells you about a beautiful side trip you really mustn’t miss. However, there are a number of major drawbacks to independent trekking. The most obvious is that you are limited as to where and when you can trek. Attempt an unusual route and you could end up with nowhere to sleep and nothing to eat. On the busy routes, trekking lodges fill quickly. If you arrive late and find all the rooms taken, you might have to sleep on the floor of the dining room. That would never happen with an organised trek. In addition, in many parts of Nepal, independent trekking is actually forbidden. Other drawbacks are that if you choose to trek without a guide and/or porter, you’ll have to carry all your own gear. A bag that feels light in a Kathmandu hotel feels very heavy indeed when you’re slogging your way up to a 5,000m pass. Trekking independently also increases the chances of getting lost, caught out in storms or making the wrong decisions when it comes to altitude-related difficulties. You might also encounter language problems without a guide. Our advice would be that if you do trek independently, at least hire a guide/porter through a reliable trekking agency. It will only add around US $20 a day to your trip but it will make your trek that much more enjoyable – and could potentially save your life. Partition walls in trekking lodges are very thin and you will be woken around dawn by other trekkers preparing to head out early. With everyone trying to leave at around the same time there will be a wait for breakfast, and for the shared bathrooms and toilets. Most people are on their way by 8.30am and will walk until around noon. Lunch is taken at another trekking lodge and again there can be quite a wait for food. Another couple of hours’ walk normally follows after lunch before arriving at your night stop and choosing your lodge. There’s often time to explore the village and the area before gathering round the heater in the dining room for dinner, swapping stories and sharing experiences. This is when independent trekking is at its best. Most people head to their often draughty wooden rooms by 8 or 9pm. For the main Everest, Annapurna and Langtang trails, organising an independent trek is simple enough. You’ll need a day in Kathmandu or Pokhara to arrange the required permits, buy supplies and, if you’re taking a guide and/or porter, organise those through an agency. You’ll also need to buy bus or plane tickets to the trailhead (buy plane tickets as far in advance as you can). Then you simply pack your bag and get going! If you want to attempt independence on a remoter trail you’ll need to check with agencies or the relevant authorities whether you’re actually allowed to walk in the area alone, and what the current situation is with trekking lodges. Understandably not all trekking agencies will be keen to help unless you hire a porter or guide from them. A certain number of permits and other paperwork will be required for every trek in Nepal. All treks require you to get a TIMS (Trekkers Information Management System) card. The idea is that it allows the authorities to know where every foreign trekker is hiking and makes them easier to trace in an emergency. There are rumours that the cards will be done away with, but for now they can be obtained quickly, cheaply and easily, in Kathmandu or Pokhara. For the main trekking areas (Everest, Annapurna and Langtang) other paperwork required includes the relevant national park permits, which can be obtained in an hour or so in Kathmandu or Pokhara. For other treks additional permits might be needed including Restricted Area Permits. In some cases these permits are fairly cheap and fast to obtain (the Kanchenjunga area being a case in point), but in other areas such as Upper Mustang and Inner Dolpo they are very expensive (US$ 500 per person for 10 days, and a minimum of two trekkers are required to get them). All Restricted Areas require you to be a part of an organised trek, but “organised” can be as low-key as you, a companion, a guide and porter or two. If you’re on an organised trek your trekking agency will deal with all the required paperwork while you go sightseeing in Kathmandu. Independent trekkers will have to face Nepalese bureaucracy alone but in most cases it’s pretty painless. You will need copies of your passport and a spare passport photo. 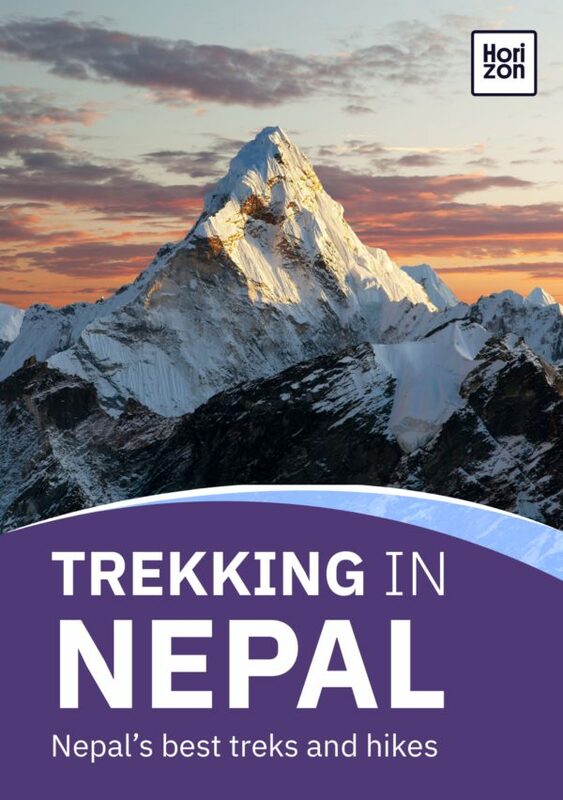 Unfortunately none of the permits can be obtained at home before leaving for Nepal so it’s unlikely that you will be able to get off the plane and straight on to a bus to the trailhead. Allow at least a day to get the papers in order after you arrive. Trekking in the mountains of Nepal generally presents few health problems bar those of altitude and weather. Food poisoning and other tummy troubles aren’t as big an issue as they are in Kathmandu, Pokhara and the Terai lowlands. Be careful what you eat in those areas before going on a trek. The last thing you want is to start walking with a dodgy stomach. Malaria and dengue fever, both of which are present in the Terai lowlands, are non-existent in the mountains. But you do need to be very aware of problems brought on by altitude, or from getting too cold or hot. Many people worry that they won’t be fit and strong enough to trek in the Himalaya. In reality only moderate fitness is required on most of the standard trails (especially those open to independent trekkers). However, for a first time trek it's best not to take on anything too long, high, or remote. The more pre-departure training you can do the better but as long as you can comfortably walk for several hours in a day then you should be fine. If you really haven’t done any proper exercise in a long time then opt for one of the shorter and easier treks and start walking at first light in order to give yourself the maximum amount of daylight to cover the days walk. One important thing to remember is that if you’ve bought new boots for your trek be sure you’ve walked them in at home beforehand. By far the biggest threat in the higher (above about 3,000m) routes in Nepal is altitude sickness, or Acute Mountain Sickness (AMS). This potentially fatal condition is caused by a combination of reduced oxygen and lower atmospheric pressure reacting with the body. Almost everyone who treks above 3,000m will get very mild symptoms such as light dizziness or headache and difficulty sleeping. Normally it only lasts for a short time and is more a sign of your body adapting to the lower oxygen levels at altitude. Take it easy and drink lots of water or ginger tea, and it should pass. If symptoms persist or get worse and a strong headache and vomiting start to occur then it’s likely that moderate or severe altitude sickness is striking. The best thing to do in this case is descend to a lower elevation as fast as possible – even if it’s the middle of the night. A porter might have to be hired to help get the victim down the mountain fast. Ignoring AMS can quickly lead to severe problems and even death. It’s not clear how or why AMS strikes. There have been cases of Sherpas who climbed Everest a number of times but got severe AMS at just 3,500m. And it doesn’t necessarily strike the old or unfit first. There is some evidence to suggest that young people get it more easier than older people, although that might just be because younger people are more likely to be gung-ho about climbing higher and faster than recommended. The golden rule with high mountain trekking is to go SLOWLY and never ascend too high, too fast. Most experts agree that above 3,000m you shouldn’t ascend more than around 300-500m in a day and that you should allow for frequent rest days above 3,500m (a rest day doesn’t actually mean having a rest. On these days it’s wise to hike to a higher altitude and then descend back down again to sleep). Following these simple rules will greatly reduce the chances of AMS. Hypothermia is not as common as you might expect on a Nepal trek but it’s certainly a risk for the under-dressed and unprepared. Symptoms are pretty similar to those of AMS with slurred speech, loss of concentration and fatigue all being key signs. Get the victim into a warm place, wrap them in sleeping bags and use your own body heat if necessary, and give them hot drinks and food. Sunstroke and heat stroke are both common, especially when walking all day in bright sunlight through the hotter, lower valleys and slopes. At such times try to rest in the shade, drink lots of water, eat something salty and wear a wide-brimmed hat. The golden rule anywhere in Nepal is do NOT drink tap water without treating it first. The vast majority of trekkers carry packets of water purification tablets to treat their drinking water. In the Annapurna area many lodges have vats of pre-treated water and for a nominal fee you can fill up your own water bottles. Buying bottles of drinking water as you go is terrible for the environment at the best of times, but up in the Nepalese mountains with few recycling facilities it’s even worse. Don’t expect much opportunity to wash while trekking. Showers, when available, are often cold which ain’t a lot of fun in the snow at 4,000m. On more popular routes hot, solar heated showers are sometimes available, but most people just wait until they get back to Kathmandu. The most important advice is – keep things light and minimal. When you’re slogging your way up to a mountain pass you will regret every extra kilo you’re carrying. The following is a list of recommended items, some of which are more essential than others. You’ll need boots. Not shoes or trail running shoes. Make sure they’re waterproof, very sturdy and above all, comfortable. Don’t buy a cheap pair, and make sure you break them in before leaving for Nepal. Whatever you do, don’t hire boots in Nepal as they probably won’t be up to scratch and will give you blisters. Nothing will ruin your trek more than blisters. A thick, warm, waterproof and breathable but lightweight jacket is another must. It needs to keep you warm as toast in sub-zero temperatures. These can be rented in Nepal but most are inferior knock-offs of respected brands. They’re okay for a one-off trip but if you’re likely to go mountain trekking again, it’s worth buying your own jacket. It gets bitterly cold at night, even at comparatively low altitudes in winter, and the thin, gap-riddled walls of trekking lodge bedrooms provide little protection. Get the warmest yet lightest one you can afford. When a manufacturer says a sleeping bag can be used down to minus-10 degrees the reality is you won’t be comfortable in it below about plus-five. Aim for one that says it will keep you warm down to minus-20 or lower. A really good sleeping bag is expensive. Bags can be rented in Nepal but as with jackets, they’re very rarely of good quality. If you’ve never trekked before then you might consider trekking poles as something that just old people use. Well trust us, if you don’t use them after a few days clambering up and down steep Himalayan slopes you’ll forever walk like an old person… Poles help save energy going up and take the strain off your legs on the way down. They also stop you falling and twisting ankles as much. Take two of at least a litre each and refill whenever possible. Don’t rely on bottled mineral water. It’s often not available and it’s environmentally unfriendly, particularly up in the mountains where there’s little chance of recycling. Get enough to treat at least three litres of water a day. On more popular trekking routes some lodges provide pre-treated water but don’t rely on this always being available. Two or three thermal tops of different thickness and even a pair of thermal under-trousers are worth their weight in gold. Two fleeces, one thin and one thick, are vital. Don’t try to skip around the Annapurna Circuit in a pair of jeans (yes, we’ve seen people try. And fail). Get some comfortable walking trousers. Two pairs should be sufficient for the longest treks. Many people recommend specialist quick-dry shirts designed for trekking. However, we’ve used a combination of these and normal shirts and T-shirts and never noticed much difference. Don’t over pack. You probably won’t change your shirt more than once in a two-week trek! Specialist hiking socks are supposed to reduce blisters and are worth buying. However, changing your socks frequently seems to reduce blisters as much as any clever equipment. Take at least three pairs for a two-week trek. Also pack a thick, warm pair of ski socks to keep warm when you arrive at camp. Most people appreciate being able to remove their boots at the end of the day and don some sandals (with or without thick ski socks, depending on how cold it is). A sun hat is vital for hotter, lower elevations, and a winter hat or balaclava for up high. Take a thick warm pair of skiing gloves and a thin, cotton pair of under gloves. You won’t be able to use your camera or eat properly with thick gloves but you can with the thin ones, and they’ll keep your hands warm for a few minutes. An essential bit of kit at all elevations. The sun reflecting off the snow can quickly frazzle your eyes. Slap on lots of sun cream no matter what the weather or elevation. Use total sunblock on lips, nose and ears. Keep this minimal as you won’t get much chance to wash. A small lightweight travel towel isn’t a bad idea. A head torch is a must. The evenings can be long. Bring a good book, not a tablet or Kindle as power sources can be erratic and batteries drain very fast at altitude. Don’t forget a guidebook. We recommend the Rough Guide to Nepal, which covers the country and gives details of the main treks. For specific trekking information try Lonely Planet’s Trekking in the Nepal Himalaya. Even non-photographers will want photos of this stunning scenery. Bring spare torch, camera and phone batteries. Below a certain temperature and above a certain altitude (which vary from product to product), batteries drain very fast or don’t work at all. Above about 3,000m put the batteries in your sleeping bag at night to keep them warm and reduce drainage. A few biscuits and chocolate bars might give you the energy boost you need to get over that pass. To carry all this you’ll need a decent, comfortable trekking backpack. Don’t consider any other kind of bag. If you’re using a porter you’ll need a small backpack for your day gear and you’ll have to provide a bag for the porter to carry - a holdall is best. You’d be utterly insane to go trekking in the Himalayas without a decent travel insurance policy. Make sure it covers trekking above a certain altitude and helicopter rescue. Don’t bother taking computers, tablets, etc. They get easily broken on the trail and the batteries probably won’t work at altitude. More importantly, most people don’t want to see fellow trekkers glued to their tablets in a lodge at night. Visas for most nationalities are available at major air and land borders on arrival. Prices for 15/30/90 days are US $25/40/100. You can pay in US dollars, euros, British pounds and some other major currencies. You can also apply online at www.online.nepalimmigration.go... which, in theory at least, reduces time queuing on arrival in Kathmandu. In Kathmandu, Pokhara and other larger towns almost every hotel in all price ranges offers free wi-fi. Internet cafes get fewer in number each year. On more popular trails such as some of the Annapurna and Everest routes an increasing number of trekking lodges offer wi-fi. Sometimes it’s free, sometimes there’s a token payment. Connection speeds are better than you might expect. Elsewhere in the mountains internet is virtually non-existent, but in some larger towns such as Jomsom, Namche Bazaar and Manang it’s available. Banks and ATMs accept foreign cards in all larger Nepalese towns and cities. Bigger banks will change cash (dollars and euros are best). Travellers’ cheques are rarely accepted now. The best way of accessing money is from an ATM. However, it’s wise to have a some emergency cash with you in US dollars or euros. On the mountain trails you won’t be able to get hold of cash easily. Some lodge owners might change dollars or euros, but don’t rely on it. Take more cash than you think you might need. Nepal is 5hrs 45min ahead of GMT. Mobile phones are ubiquitous in Nepal. If your phone is unlocked you can buy a cheap pre-pay Nepalese SIM card and a bundle of credit for talk time, text messages and internet. Take your passport with you to buy a SIM card. Reception is excellent in lowland areas and large towns and cities, but on the mountain trails you are highly unlikely to have a phone signal. Locals have phones that work but they use a special service not available to tourists.